The impact of AI on humans in work is a hotly-debated issue. You can stand in any high volume car manufacturing environment and all you will see is spinning robotic arms clamping and bolting panels to a chassis. So it is somewhat comforting that at Aston Martin, an important part of the appeal, prestige and price tag is because, apart from heavy lifting, these spectacular vehicles are handcrafted, and lovingly so. Michael tell us about your early life and why you decided on a career in HR. I joined Leyland Vehicles in Lancashire on the graduate scheme in Personnel when it was part of the BLMC Group when it had been recently combined with the old BMC car company – Austin, Morris, Jaguar, Triumph etc. To be honest the business was all over the place and the passenger vehicle side was getting booted into touch by Ford. My father worked for Ford in engineering and in some naïve way I did not want to work for the same company. After a year I became frustrated and looked elsewhere for a new job madly overselling my rather limited experience to Perkins Engines, then part of Massey Ferguson. I was appointed to the role of Staff Recruitment Officer and had six good years at Perkins despite the business being strapped for cash because of the parent company’s woes globally. It gave me a great opportunity to gain solid experience in recruitment, compensation and for the last couple of years in hourly paid industrial relations which I really enjoyed. I realise now how very young I must have seemed to the battle-hardened trade union stewards as this was in the early Thatcher years when lines were being drawn to reduce the Unions grip on the workplace and end the worst of the restrictive practices. I will always be grateful to the IR Director at the time for taking a gamble on me as I think I was the youngest person ever to join the IR team and was thrown in at the deep end handling grievances, disciplinary meetings and a role in pay negotiations. I seem to remember my first disciplinary hearing was a rather intense affair which ended up with the dismissal of some guy who had been stealing components to order and had taken the wrong starter motor out and been caught bringing it back. Although the TU Convenor knew he was banged to rights he also knew it was my first dismissal case and gave me a hard time arguing to the contrary to test my nerve! Looking back, I had some great role models across the senior management team at Perkins Engines and although I didn’t realise it at the time I can think of at least five people who went on to become CEO’s of major FTSE companies. The common thread was an ability to embrace change, quickly develop a workable business strategy and be decisive and indeed brave in its execution. You learn much more quickly when you're facing constant challenges. Too true, and I think it is important not to copy anyone’s style but to take on board the best of what you see and avoid the worst. A couple of times during my career I have worked for HRD’s who had large gaps in the skill set required to operate properly at that level and I set out at an early stage in my career to cover each piece of the jigsaw even if I was better at some aspects than others. At least then I could advise and lead with some experience and authority when running a team or advising senior line management. My next move came about from my first call from a search consultant who told me what I needed was multi-site business experience, FMCG experience and a go at managing my own team and it just so happened he had the perfect role! The job was at International Distillers and Vintners, now part of Diageo and so I moved into the world of wines and spirits and my first exposure to brands based businesses. It was probably my industrial relations experience that won me the role and it was not that difficult working through some of the HR issues right from the start. After a year or so I let it be known that I was keen to work more closely with the drinks brands and provide an HR service to the commercial, marketing and head office functions. Again, I worked with a great management team many of whom were from Ford and Esso and I set out to absorb as much best practice as I could, not only in HR, but more broadly in a fast-moving consumer goods business. I realised that the next stage of my development was to gain some international experience and I also fancied the idea of working in London for the first time. As part of a restructuring I managed to tick all the boxes and found myself in the rather prestigious international office overlooking Regents Park as International Compensation and Benefits Manager. It was not long before I was lured by the well-remunerated call of financial services and working in the City being part of the work hard/play hard London lifestyle with Midland Bank. Until this point in my career all my experiences were about change either through a difficult trading environment or rapid brand expansion and this was more of the same as Midland was a couple of years away from being swallowed up by HSBC. It was quite a challenge learning to work in a very different sector than I had known before but a recent change in senior management proactively set about hiring from outside the industry. Midland were probably the first bank to do this as a way of breaking the stranglehold on a very traditional approach to banking and a definite resistance to change. This strategy brought about the birth of First Direct and a very different approach to retail banking and it is not difficult to follow the trail through to today’s internet and telephone banking. If the banking sector was resistant to change then insurance was even worse. At the time of the HSBC takeover I was invited to join Norwich Union in the 90s which was a sleepy, two hundred year old Mutual business both physically and mentally a long way from the City. Nevertheless, it recognised it could not continue being oblivious to what was happening in the City and it had never had what we would understand as a professional HR function. Cue an enlightened HR Director who recruited a team from outside the industry, who in the early days were regarded with both fear and suspicion bordering, at times, on contempt. However, the business forged ahead in a new direction which saw the establishment of a direct general insurance business, the setting up of Virgin Direct, creating a health care business and by the end of the decade an IPO and stock market flotation. All very exciting for HR and we played a very active part in the business development. It was the first time I had been involved in an IPO and I had not realised how much work was involved generally and for HR, preparing and educating the workforce to become aware of the stock market, share price movement and improved performance management. This set NU up to play a lead role in the merger of the General Accident and Commercial Union businesses to form AVIVA. This was priceless experience, dealing with disruption on a massive scale, integrating businesses, operations and people. I had previously been the head of HR for the Life business within Norwich Union but of course all our roles disappeared overnight and when the dust settled in the new structure post-merger, I had secured the role I wanted as HR Director of the European and International business. Much has been said and, as they say, lessons learnt about the crash of financial markets. What is your take on it? There are far better qualified people than me who have passed comment on 2007, but I must say based on my experience I was not at all surprised by what happened. At the time, I had been invited via search to join West Ham United FC as its first HR Director by an enlightened and fast thinking CEO. I was immediately affected by what happened in the City as the Club was owned by Icelandic banking investors who effectively disappeared within a short space of time. History shows that a financial crisis usually has its roots in corporate greed and looking back we had bred a generation of many bankers who were more obsessed with short term gain and size of bonus payouts than seeing the warning signs of a collapsing economy. Maybe with better governance, less arrogance and braver HR staff some of the worst effects could have been avoided. I do believe that many people in HR got carried away with unnecessary and over complicated processes during the noughties and lost sight of calling out dodgy behaviour. I think this was probably unintentional but my advice would be to tune in and understand your business and project yourself as a business manager first who specialises in HR not the other way around. I really enjoyed my seven years at West Ham Utd and it was a real eye opener being part of a small entrepreneurial business after a career with large multinational companies. Some things were better and some worse but I liked the speed of decision making, fewer meetings and the satisfaction of seeing ideas turn in to action almost immediately. Such are the financial pressures of staying in the Premier League that there is no time to prevaricate over decisions. This needs swift and decisive leadership and I learned a lot from Karren Brady who was my boss for the last five years at the Club. She does not suffer fools gladly and I was part of her small, close knit team which, following the first couple of team meetings, probably resembling an episode of The Apprentice, settled down to deliver good results (and yes, a few people were fired!). The HR style in football in some respects was very light of touch – just enough input to prevent breaching employment law. In other areas the business was more heavily regulated by both the FA and Premier League and a local authority safety advisory board. The pressure was relentless but nonetheless enjoyable. Respect within the business was hard earned and came quickly through a series of changes including some outsourcing, better quality recruitment and a timely and relevant performance management system. I had started to become involved in a massive change project when the opportunity of moving to the London Stadium became a reality just before the 2012 Olympic Games. To be honest, I would have been happy staying at the Club and enjoying the challenge of relocating to the new Stadium with all the new HR implementation opportunities that came with it until I had a call rather out of the blue. And then along came Aston Martin. Yes indeed. It was 2014 and I thought luxury sports cars sounded interesting and, as I had worked in booze and football, fast cars seemed a logical next step. That only leaves the music industry to complete my interests and I am probably a bit old for that one now! In the end I happily and very proudly joined Aston Martin and relocated the family up to the Cotswolds which is a beautiful part of the UK. 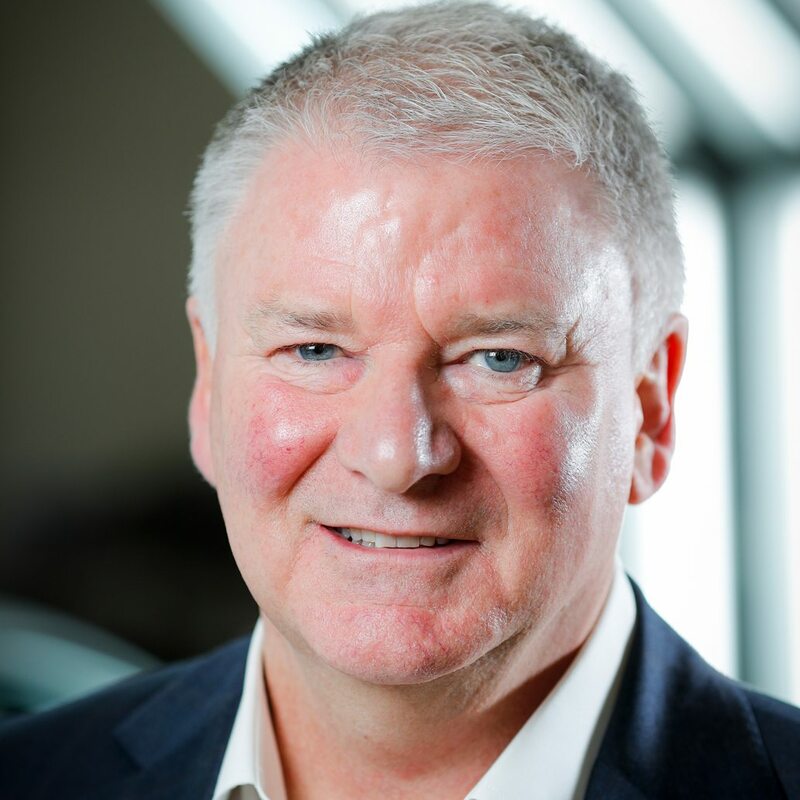 This coincided with the appointment of a new CEO, Andy Palmer, who quickly established his vision for the company launching our “Second Century Plan” at the Geneva Motorshow in 2015. This mid-term plan set us on a path for sustainable success over the next 100 years having celebrated the centenary in 2013. The Second Century Plan sees us simultaneously re-engineering the company while at the same time nurturing the essence of what makes Aston Martin so special; beautiful, powerful, hand-crafted cars. With the backing of our shareholders, we committed to a new wave of products, being developed under the largest investment plan in our history. The plan creates a luxury company that has a broad portfolio of products offering cutting-edge technologies, combined with the very best of British design and craftsmanship. An Aston Martin should always be something rare and exclusive. The business is profitable, expanding, with new products being developed and new technology introduced. DB11, announced in 2016, was the first completely new model launched under the Second Century Plan and we have added a V8 DB11, with a 4.0-litre twin-turbocharged engine and the new DB11 Volante to complete the range. But the DB11 derivatives are just the start of this journey. Between now and 2019 we will replace every other car in our range, starting with Vantage, then Vanquish replacement and then DBX. We will then go on to deliver at least one new model every year through to 2022. The Aston Martin Valkyrie, being developed with RBR sees us going a step further. It will be the fastest road legal car in the world and as fast as an F1 car around Silverstone and should not only be the ultimate production Aston Martin, but what promises to be the defining hypercar of the decade. Our recently announced partnership with RBR sees the team racing as Aston Martin Red Bull Racing next season which we are tremendously excited about. I am currently involved in setting up a new design studio and around 200 Aston Martin staff being based at Milton Keynes with RBR. The range sounds amazing and the strategy really intriguing. So apart from cost, what are the key challenges? The obvious challenge is to deliver the ambitious programme of new vehicles at a rate unheard of in the high luxury sector and HR’s role is to make sure we have the management capability to do this. 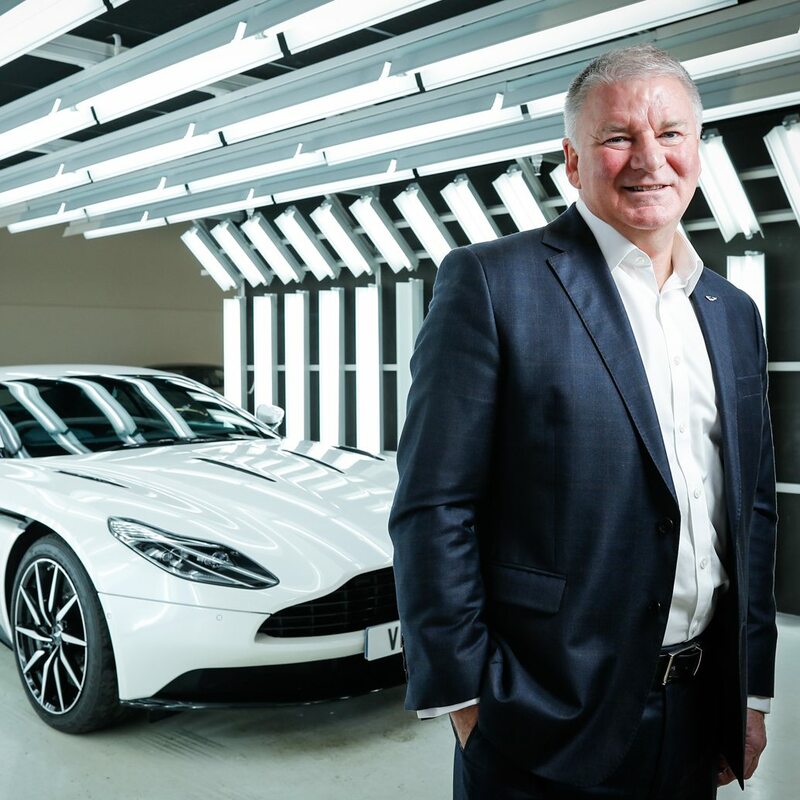 Andy’s a tough guy, drives the Exec team hard, is totally committed to HR and genuinely recognises that people are Aston Martin’s biggest asset. Corny, I know, but true in our case and the proof is in his passion and, quite often, impatience with us moving to delivery mode with our people initiatives. We have engaged McKinsey to help us cut through the old legacy and they have been a great help to me in HR in establishing best practice and giving real world advice and support. I have had to drive through quite an HR agenda in a very short space of time almost to the point where I worry the business is starting to suffer from initiative overload but the stakes are high and we will only get one shot at this. In three years flat we have right-sized the organisation with the redundancy of many roles not required in the new structure, increased our headcount from around 1,800 to nearer 2,700 and we will be just short of 5,000 staff by the end of the decade with the opening of our new plant in St. Athan, Wales. The grading structures have been flattened, new performance management systems and talent management processes introduced and we have improved our relations with Unite, our trade union, resulting in a three year pay deal and the closing of the final salary pension scheme. We are also underpinning our Second Century Plan with a big culture change initiative which we have called the Aston Martin Way to help our staff understand what we stand for and how important a role they play in our future success. What are the indications that the strategy is having an impact? We have posted record profits and sales in the last four quarters, and we plan to carry on doing that, although it’s essential that we manage fixed costs. 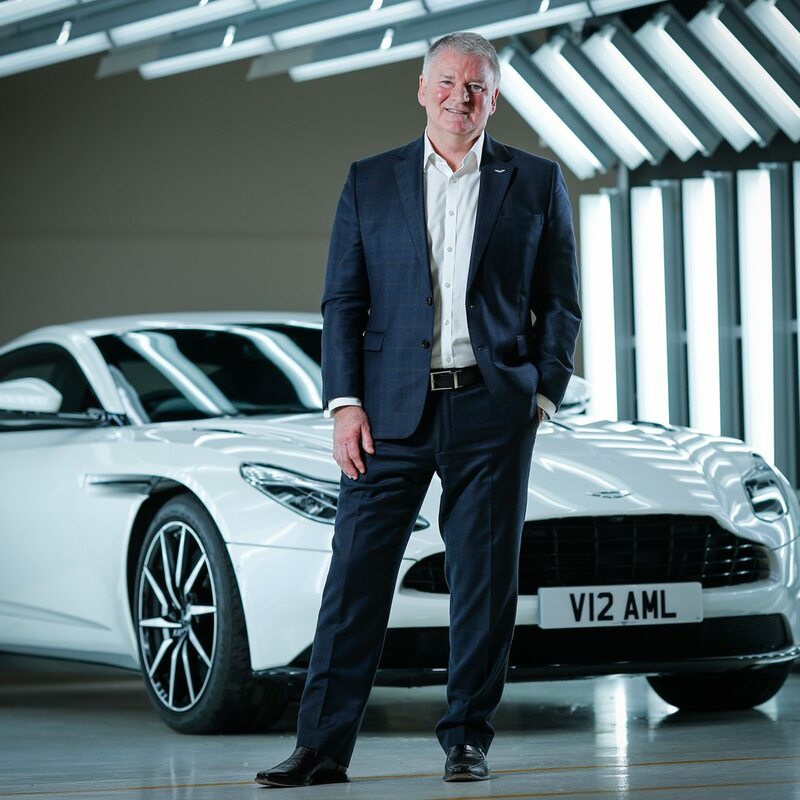 The City seems to like what we’re doing at the moment, ratings companies have increased their assessment of Aston Martin which is good to see and we may have a possible IPO coming up in the next two or three years which we are trying to factor in, although no decision has been made yet. 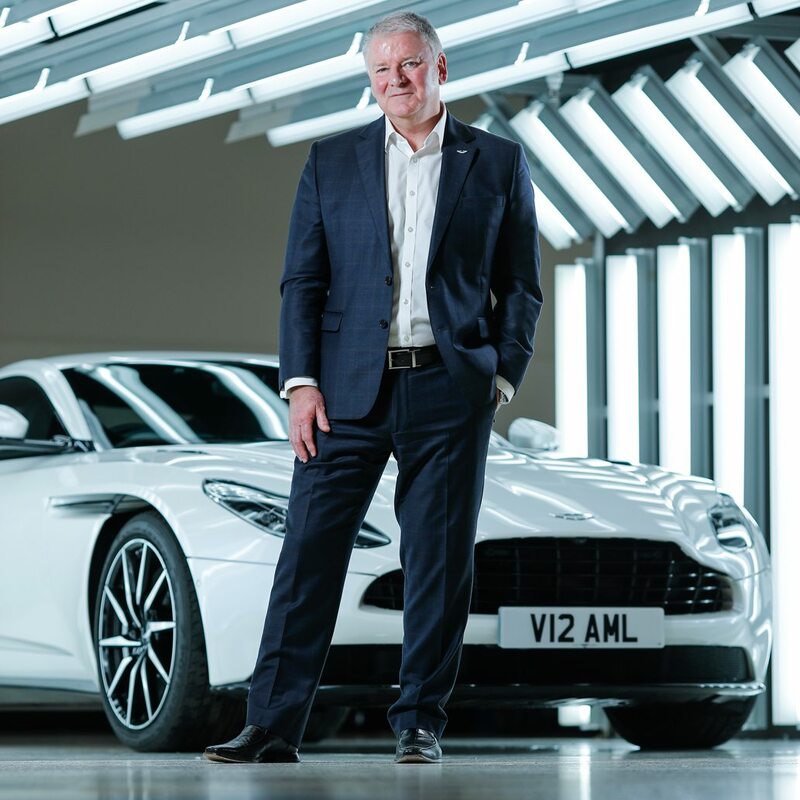 So, this is a great time to be both working at Aston Martin and indeed joining Aston Martin. Technical skills are highly important to us and we cannot rely solely upon our brand. We are much more fleet-of-foot than is typical in the industry and employees have a real say in what’s going on, there’s a real sense of self-responsibility. Our CEO believes in stretching his Exec team outside of their comfort zone so for example as well as my HR responsibilities, I have a key role in the transformation of our engineering division. I am in China next week as Regional Chairman of the business representing the company at a new dealer opening in Qingdao as well as dealer visits to Bejiing, Wuxi and our regional office in Shanghai. I recently held a similar role in the US but have now swapped burgers for noodles! I also have a key role in managing fixed costs across the company working closely with the CFO and two of the business FD’s along with overseeing site strategy as we expand further. Thinking about it I think I have slipped up in that my bonus criteria gets smaller for HR each year. Again, it’s really about going back to the essence of HR being perceived as a good business manager backed up by specialist HR knowledge. I know there are those who move out of HR completely but I have no great desire to do that, but I like to make a contribution beyond the core role. I guess striking a balance of scale is difficult, success could lead to mass production and that doesn't sit well with the Aston Martin legacy and ethos of hand built. Then there is the increase of AI and robots which is about cost and efficiency. We like to combine the best of both worlds right down to our leathers being hand stitched to bespoke customer requests for a complete car. Apart from some awkward work in the paint shop requiring specialist robot sprayers we only have one robot that pulls bodyshells down from a rack and on to the production line and we like to think our technicians get great satisfaction from that as their role is far more interesting as a result. We have invested heavily in our apprentice training scheme and it helps that our CEO was an ex-apprentice himself and he takes a lot of time out to be involved in their training programmes and development. Do you think that’s sustainable? As tenure at work is shortening all the time. There is no other option as the scarcity of engineers continues to be felt across our industry. We know the risk in developing apprentices and graduates only to have them poached but you have to be pragmatic and keep offering them real and exciting opportunities. Markets are moving so quickly towards electric and connected vehicles that our cars are becoming more like complicated computers on four wheels. The industry is thriving and changing at a phenomenal rate with the next ten years likely to be the most dramatic in the industry in a long time. How would you define the Aston Martin brand? I guess it can be summed up as modern and timeless with cutting edge design and technology along with a long standing global reputation for understated styling and elegance. It is essentially a product that people want but do not need so we must give it an exclusive yet visible image and one that transcends into popular culture but positioned at the higher end of the market. Its values combine power and performance with refinement, luxury, beautiful design and style. In terms of challenges ahead? More of the same really and we must hold our nerve and deliver what we have said we will achieve as a business and equally in HR. I don’t think I have ever worked so hard in my life or enjoyed myself more!